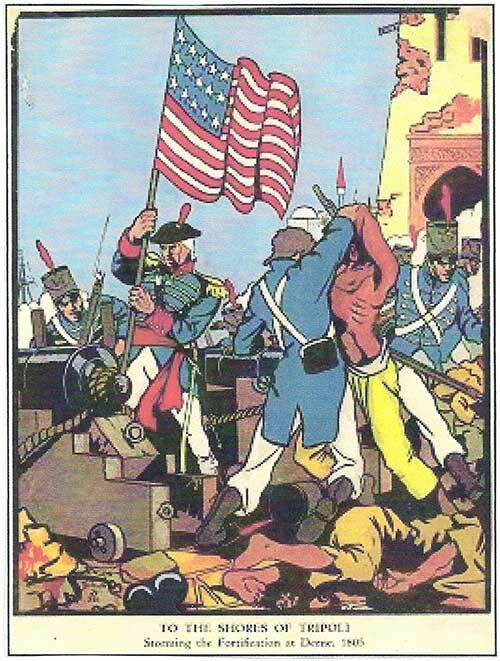 a History of the Middle East Through Cartoons"
that of Napolean's invasion of Egypt and Syria (Palestine). Napoleon defeats the Mamelukes at the 'Battle of the Pyramides'. 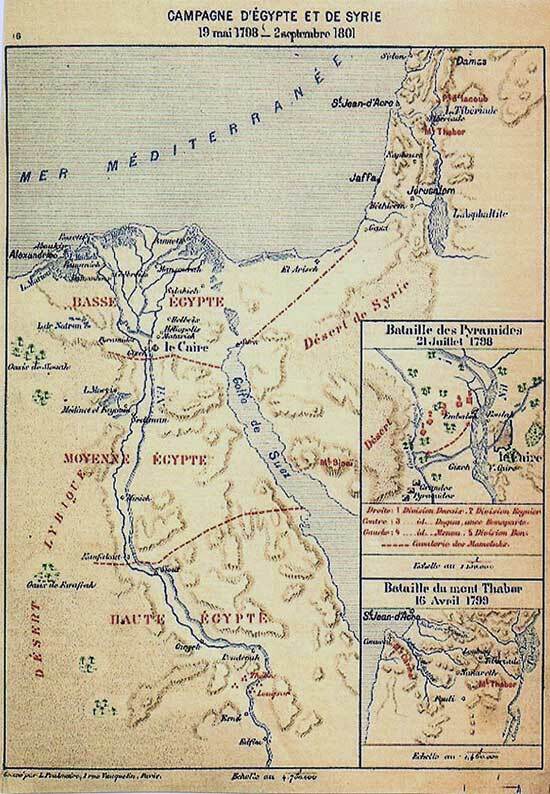 British Admiral Horatio Nelson destroys the French fleet in the 'Battle of the Nile'. 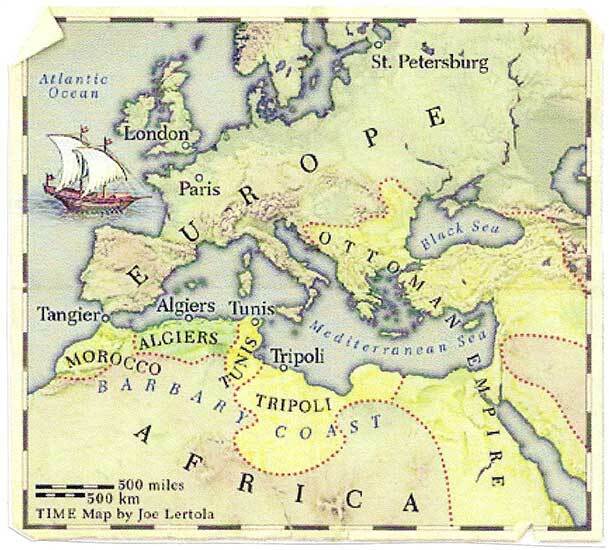 Napoleon marched North taking Jaffa. His army reached Acre and laid siege. It failed and he was forced to retreat back to Egypt. 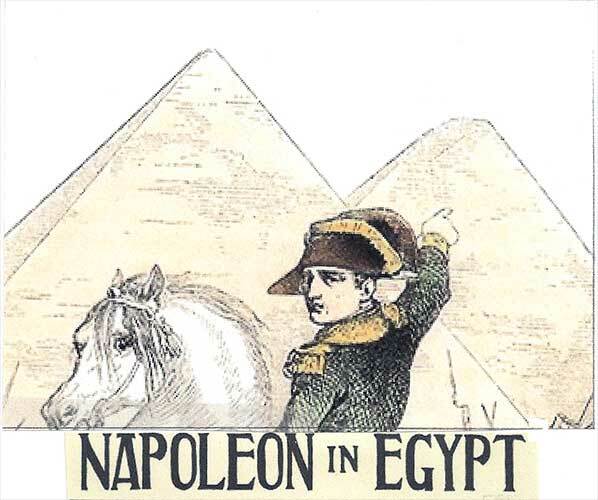 Napoleon slipped through the British blockagde and returned to Paris. 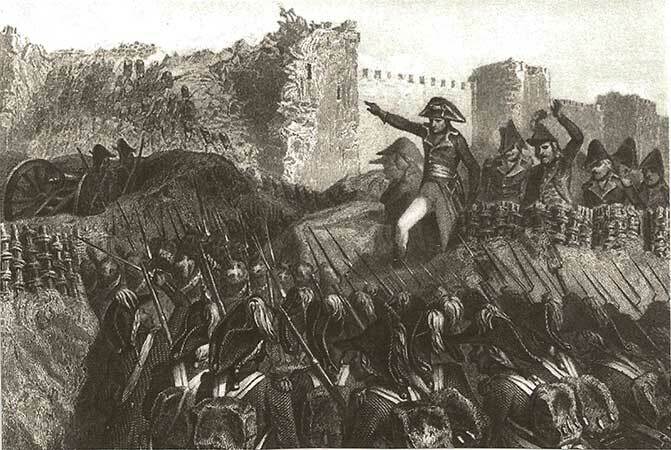 Napoleon's Siege of Acre was repulsed by Ottoman and British forces. 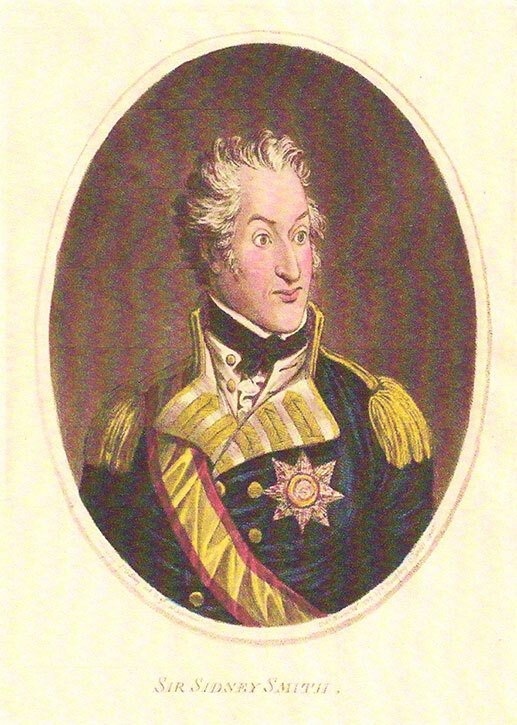 Above all by the Royal Navy's Sir Sidney Smith, who tiped the scale of battle. 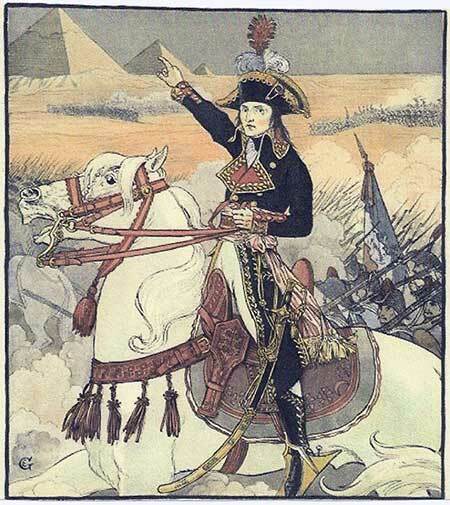 Napoleon said of him: "That man made me miss my destiny". 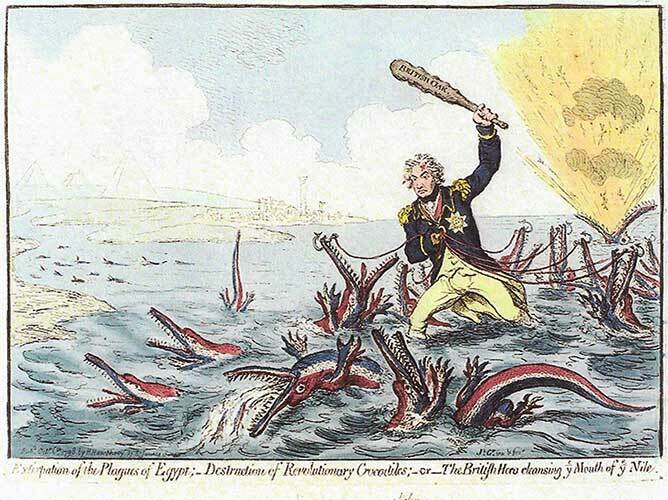 By James Gillray, The National Portrait Gallery, London, published November 10, 1799. 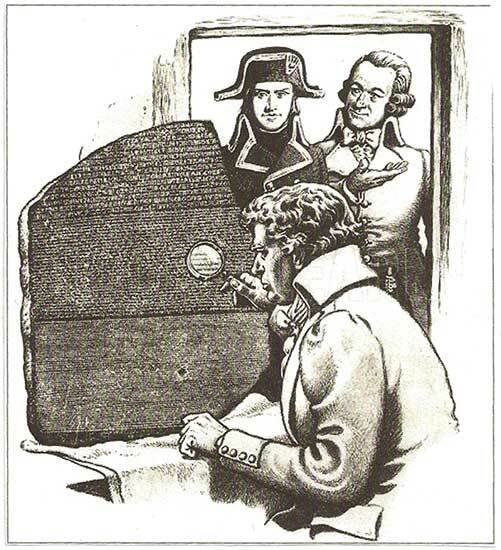 French army officer Bouchard discovered the Rosetta stone in Egypt. The stone was commandeered by the British and came to London and to the British Museum where it has been ever since. 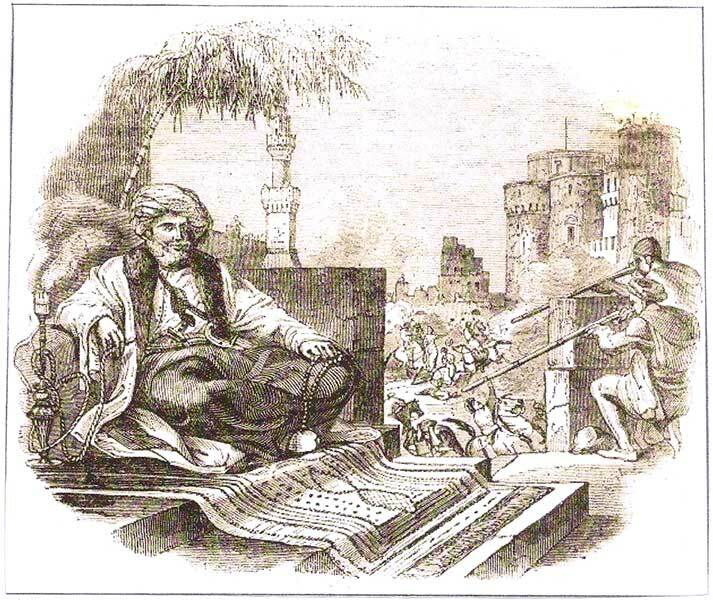 Mohammed Ali Pasha - "The Founder of Modern Egypt"
Muhammad Ali, an Ottoman officer, sent to Egypt in 1801, seized power in 1805 and became the master of Egypt for 46 years until his death. 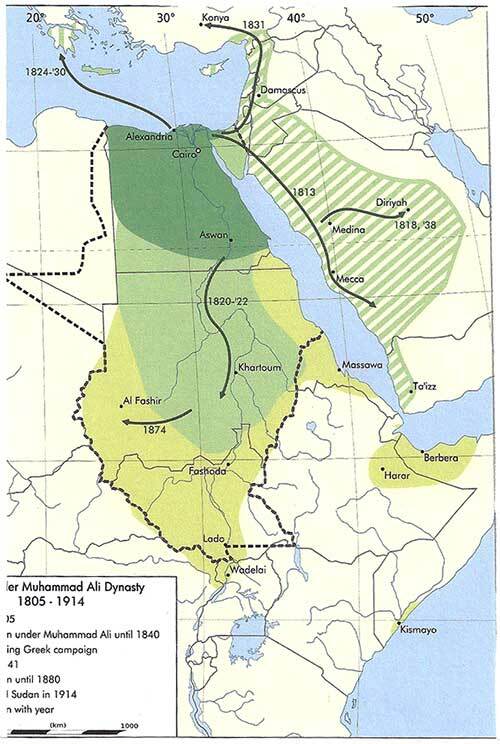 With unlimited energy and most remarkable administrative skills he elevated Egypt to the most powerful state in the Middle East. 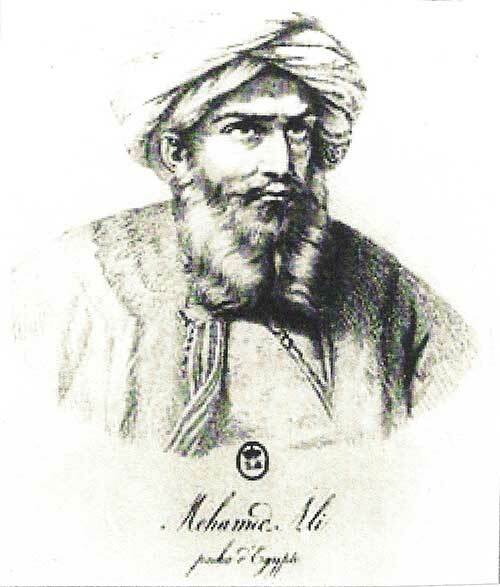 Mohammed Ali effected control over Egypt by eliminating his Mamluk opponents by inviting their leadership to a banquet at the Cairo Citadel and hence forth massacred the lot. 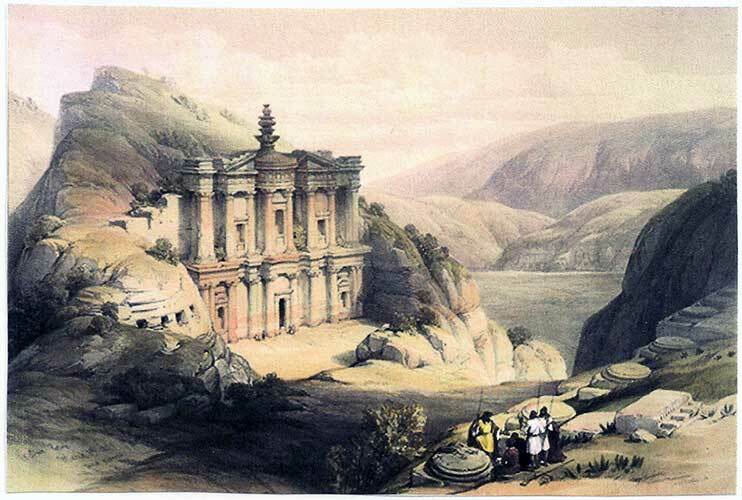 Swiss explorer Johann Ludwig Burchardt discovered the ancient city of Petra in present day Jordan. 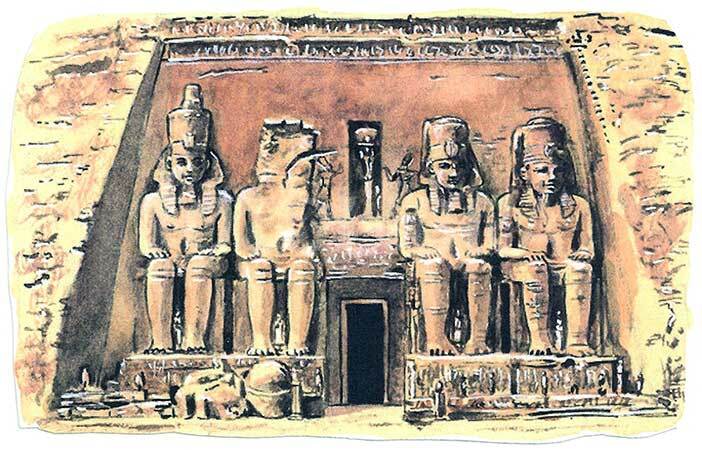 The next year he discovered the great Egyptian temple at Abu Simble. 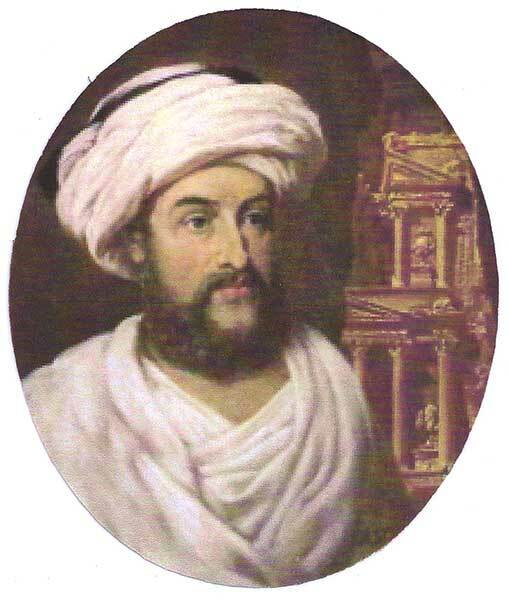 He died in Cairo at the age of 33.
their marauding of American ships, in which the Barbary pirates would capture slaves for labor or ranson or to exact tribute. 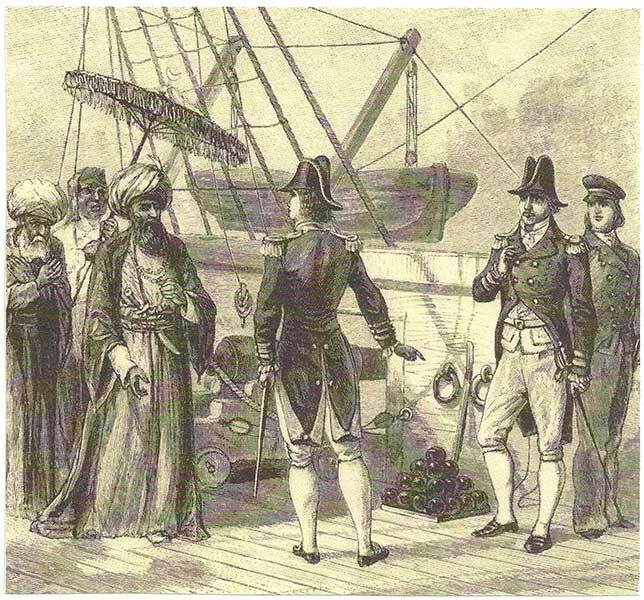 Commodore Stephen Decatur crushed, by American sea power, the Barbary States in 1815 and dictated new peace treaties that brought an end to the Barbary Wars. The Pirate War made America grow up as she stepped firmly onto history's stage. "If you insist upon receiving gunpowder as tribute, you must expect to receive (cannon) balls with it." 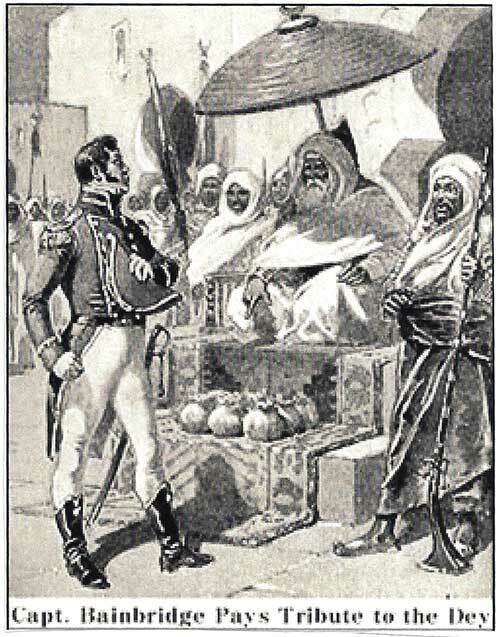 Commodore Stephen Decatur to the Bey of Algeria. 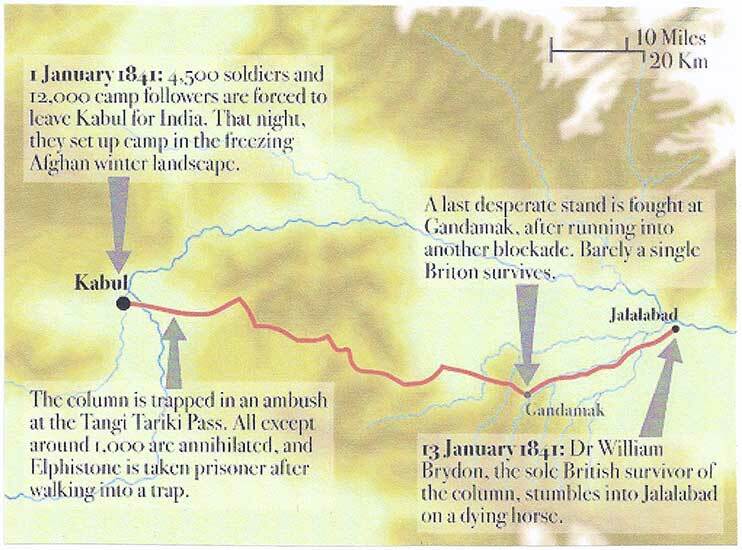 Afghanistan, "The Graveyard of Empires"
The chart above illustrates the British catastrophic retreat from Kabul in the dead of winter of January, 1842. 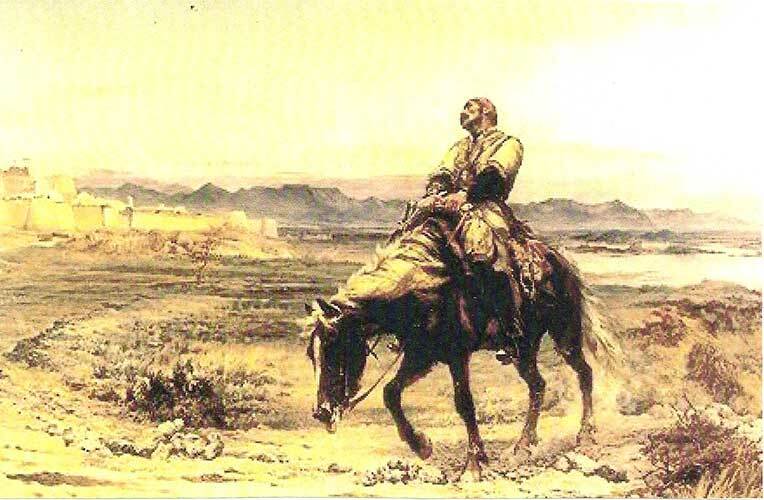 Dr. William Brydon, the only survivor of the 4,500 British soldiers and 12,000 camp followers who left Kabul. He finally reaches the safety of Jalalabad.